Bruce Mansfield, prominent media identity in Melbourne for 50 years, has died at the age of 71. Mansfield had been diagnosed with prostate cancer last year. The nephew of popular 1940s and 1950s radio host Terry Dear, Mansfield’s first break in radio came in winning a competition for a junior announcing position at Melbourne station 3UZ. He later presented on 3XY and did voice over announcing at GTV9. At around this time he first met Philip Brady, someone who he would become well associated with in years to come. 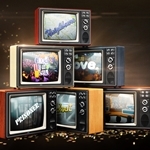 At GTV9, as well as announcing, Mansfield appeared in comedy skits on shows like Cartoon Corner with Daryl Somers and In Melbourne Tonight. 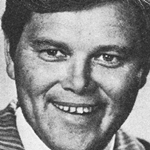 But his career took a different turn when he moved across to rival channel ATV0 in 1973, initially as a booth announcer and warm up guy but later became newsreader. 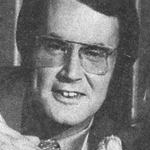 He presented the weekend news at first before being promoted to fronting the channel’s main weeknight bulletin in 1974. It was a role that he held for six years. 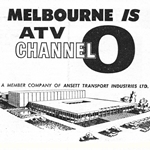 The change of management when ATV0 changed to ATV10 saw Mansfield move to voice over announcing and other duties such as hosting movie matinees. This led to a shift back to radio as part of the top-rating breakfast show on 3AW, working alongside John Blackman and later Darren James. After a stint that followed at 3AK, Mansfield returned to 3AW in 1990 to host its weekly nostalgia program Remember When and talkback show Nightline, both with Philip Brady. Theirs was to be a successful partnership that, apart from a brief hiatus in 2000, continued until last year when Mansfield was diagnosed with prostate cancer. While hosting Remember When and Nightline, Mansfield continued to make appearances on television, including Rove Live, Good Morning Australia and nostalgia special The Way We Were. He also presented Night Owl Theatre and Mansfield’s Melbourne in the early days of what is now C31. In more recent years he appeared in the Royal Children’s Hospital Good Friday Appeal telethon. In 2014 there was a campaign for Mansfield to go back to read the news at Ten Eyewitness News for the channel’s 50th anniversary. 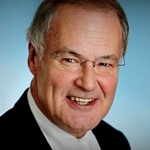 The newsreading gig was not to be but he did appear in a report for the station’s birthday as well as on the special 50 Years Young. Bruce Mansfield is survived by wife Jill, their children and grandchildren. Source: 3AW. Tales From The Scrapbook, Bruce Mansfield and Philip Brady, 1993. 19 June 2014 Can 3AW get Bruce back on Ten? This is a real shocker! I’m so sorry to hear about this and only just heard about it a few minutes ago from clicking on this site. Yes, I don’t know how to put it but Bruce and Phil were such a wonderful team together that you would have more than a field day trying to separate them. Well, my condolences go out to his family, and also to Phil. Vale, Bruce. Sad to hear. I remember him reading the news and my mother used to listen to him on the radio. He always struck me as being a gentleman.